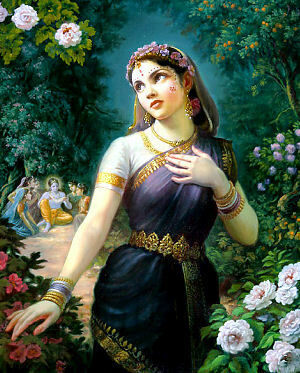 Radhastami Celebrations This Thursday! ~ The Toronto Hare Krishna Temple! The Hare Krishna temple warmly invites you and your family to join us this Thursday, September 12, 2013 for Radhastami celebrations - celebrating the appearance of Srimati Radharani! Festivities will commence at 6:00pm and will include wonderful kirtan, a discourse about Srimati Radharani and a vegetarian feast. As an annual tradition, the highlight of the evening will be when we open gifts for Srimati Radharani that have been brought by the assembled devotees. If you and your family feel inclined, you are welcome to bring a gift for Their Lordships. For gift ideas, please click here for a list of items. Gifts can be placed on the altar and will be unwrapped and shown to the Deities during the program. Of course donations of any kind are always warmly accepted.